A good book has the power to transport you to an unfamiliar world or far flung city, but every author needs inspiration and that often comes from the places they know well and love - the landscape on their very doorstep. Words within the well-worn pages of a favourite book may have created an unforgettable backdrop but wait until you see the real thing. Here is a top 10 list of places across the UK that have been the inspiration for some of the most popular literary works every created. 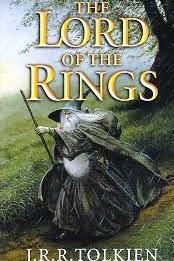 The one-time industrial heartland of England seems an unlikely inspiration for one of the most read series of books in the world, but Birmingham with its towering mills, winding canals and factories was the city that shaped the settings in the Lord of the Rings fantasy novels. 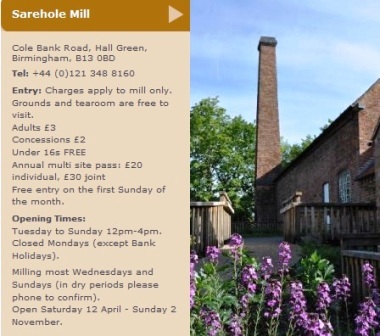 Sarehole Mill in Cole Bank Road, Hall Green, is a protected museum site run by Birmingham Museums and Art Gallery that has regular Tolkein weekends and walking guides for fans. The serene water mill was a backdrop for a young Tolkein and provided inspiration for the Shire. 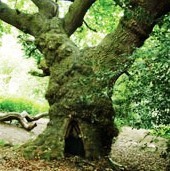 Then there is nearby Moseley Bog where the fascinating backdrop stirred up the author's imagination. Once you see it, it's easy to understand how he came up with the idea of talking trees. Ancient-looking trees with twisted branches and moss-covered trunks that glimmer as the sun hits them through gaps in the leaves. It's a magical, raw place that brought about the creation of Middle Earth. A downloadable Tolkein Trail shows a route around Birmingham of landmarks that inspired the author including Edgbaston Waterworks Tower and Perrott's Folly - the two towers - both in Waterworks Road, Edgbaston, south Birmingham. April-October, Tuesday-Sunday - Midday - 4pm. at 11am or by appointment. Tickets cost £3 adults. Free entry for children. Run by Birmingham and the Black Country Wildlife Trust, further information on year-round events or volunteering at the site can be found at the Moseley Bog website. Dracula may be more associated with Transylvania, but the dark deeds in the chilling novel are set in the small seaside town of Whitby, in the north east coast of England. 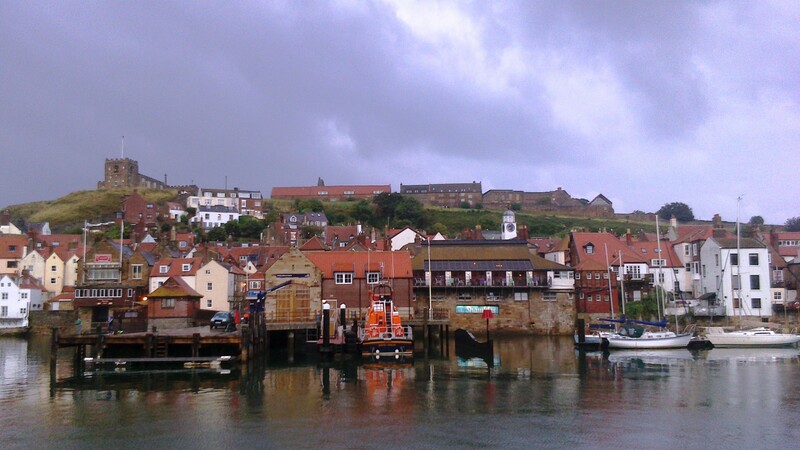 Whitby is a charming town based around a small harbour with cobbled winding streets, rows of fish and chip shops and some fun but tacky Dracula tourist attractions. 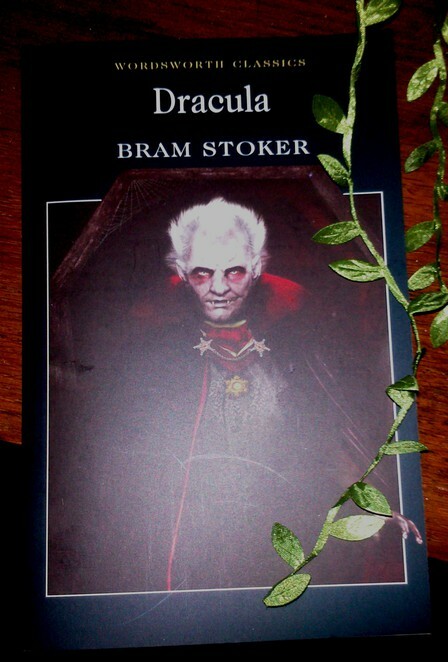 It hasn't changed much since Bram Stoker wrote his classic in 1897. The real attraction is the Abbey that dramatically towers over the town. It's a short but steep walk up stone steps from the harbour or you can drive up the hill and park next to it. 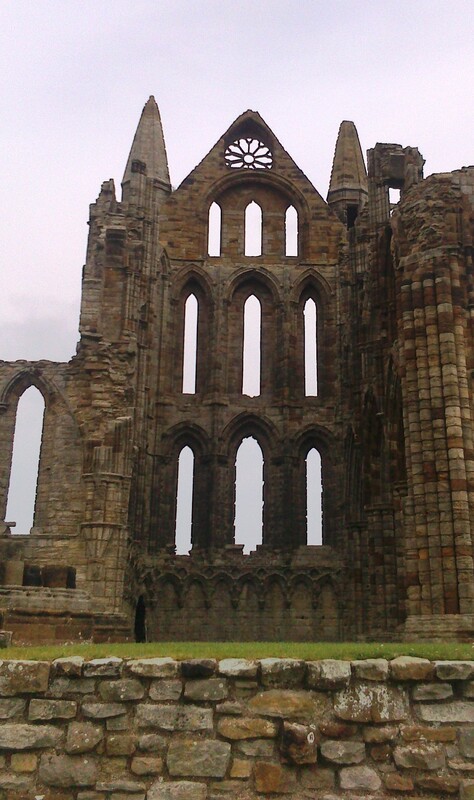 There's also some headland cliff walks next to the Abbey in the bracing winds. 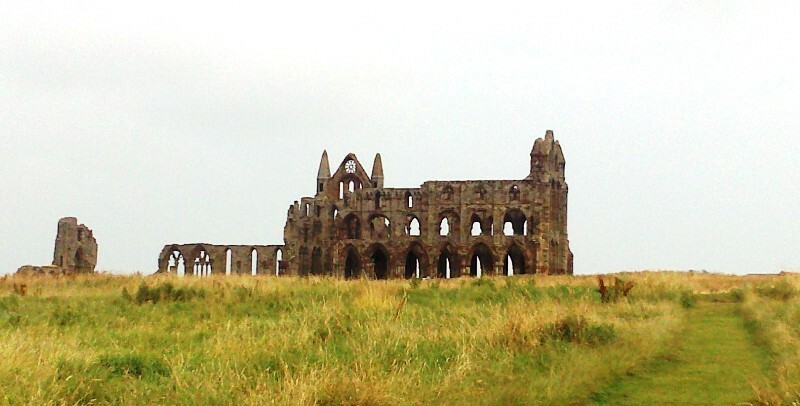 Run by English Heritage, visitors are able to access all the ruins of Whitby Abbey for a £6.60 adult ticket or £4.00 for children under 15. In summer, there's performances of Dracula in the grounds but it's also a good time to visit in the autumn when the mornings and evenings are more likely to be foggy - and send a chill up your spine. Book lovers can walk in the footsteps of Emily Bronte and her sisters at the parsonage home they grew up in. Set amid the wild, windy, rugged beauty of the Yorkshire Dales in the remote and isolated village of Haworth, it's easy to see how Emily created the turbulent, passionate story of Cathy and Heathcliff in Wuthering Heights. The Bronte Parsonage Museum allows visitors to see how the family lived. There are plenty of delicate, historic personal belongings and scribbles by the sisters along with details on how the life of their reckless brother affected them and were represented in the stories they wrote. Standing amid the desolate scenery with their tragic lives laid out around you is like stepping back in time. The isolation they must have felt is very apparent, withdrawing into their own worlds. It goes some way in helping you to understand how the three young daughters of a clergyman managed to create such timeless, passionate novels that have stood the test of time. The Museum does open on New Year's Day from noon to 5pm. The serene picturesque views across the Lake District have inspired literary minds for centuries, whether it be the poetry of Wordsworth or Coleridge or the adventures of Swallows and Amazons in Arthur Ransome's much-loved tale. But when it comes to creating the most adorable characters, the prize for most popular author must go to children's storybook writer and artist Beatrix Potter. Creating both the images and stories to go with the likes of Peter Rabbit and Jemima Puddleduck, the world of Beatrix Potter is clear to see at her one-time home at Hill Top, near Ambleside. Hill Top is a National Trust property that both adults and children will enjoy has pretty gardens, a vegetable patch (where else would Peter Rabbit steal carrots from?) and fascinating artefacts from the author's affluent life. Be warned, the property is so popular that tickets are by timed entry and you may have a little wait until you can go in. There is a tea shop to pass the time though that comes in very handy. The gardens around Beatrix Potter's House in the Lake District. 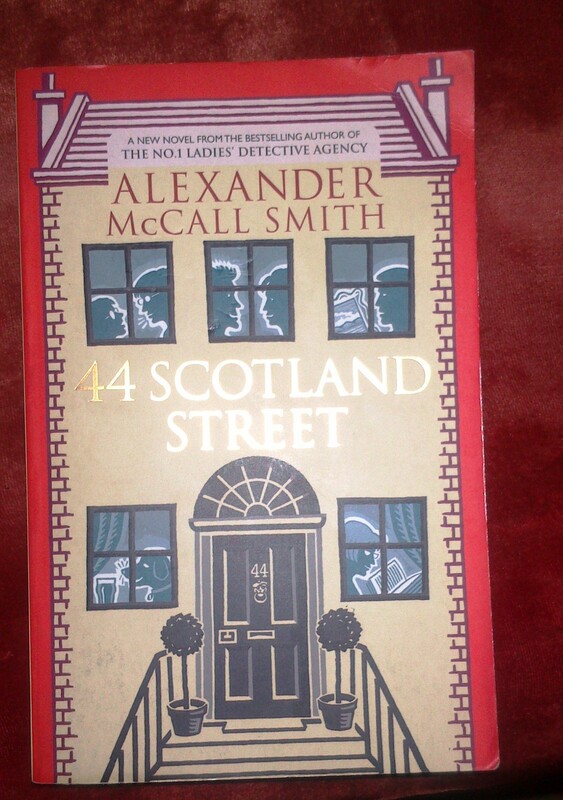 As a resident of Edinburgh, Alexander McCall Smith looked closer to home for his Scotland Street series of books after his successful African-themed venture with The Ladies Detective Agency novels. The light-hearted tales of various characters sharing a fictional house come to life when you see the glorious tree-lined streets of the Scottish capital with its huge Georgian-style white houses that have been turned into flats. 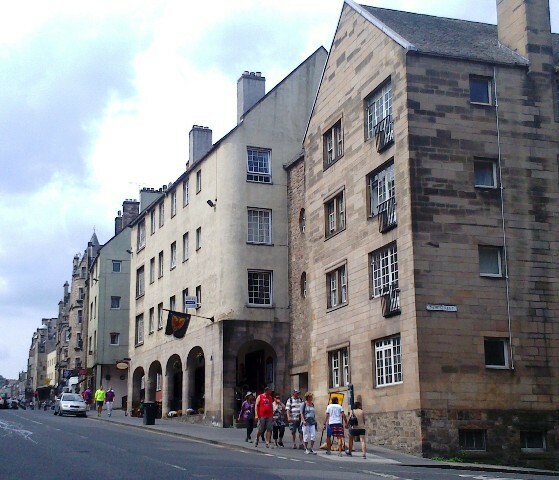 No trip would be complete without ambling down the historic Royal Mile with its tiny buildings, pubs and shops that lead up to magnificent Edinburgh Castle on one end or Holyrood Palace at the other. It's worth getting out to the suburbs where the real people of Edinburgh live - chic areas with boutiques, coffee shops and friendly pubs bursting with bottles of whisky, like Morningside (the suburb where Miss Jean Brodie lived in the Prime of Miss Jean Brodie). It's a 30 minute stroll from the city centre or a 10 minute bus ride. Another area worth staying and drinking in at night is New Town, where a host of trendy bars, south american eateries and the like are found nestling among the many hills of the city. There are some affordable flats to rent for a week's stay in this area too. And one other thing - Sir Arthur Conan Doyle of Sherlock Holmes fame lived and went to university in Edinburgh. 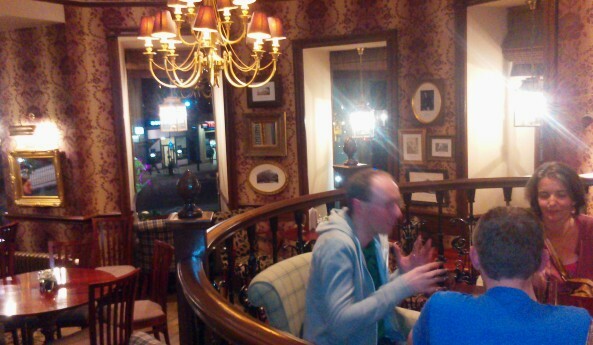 The Conan Doyle Pub, in York Place - close to Picardy Place where the author was born - is a great drinking hole to refresh yourself and look at some mementos connected to his work. The tales of King Arthur are steeped in legend. Heroics, magic, romance and dragons coincide for epic stories that need an epic backdrop - and Tintangel Castle in Cornwall does not disappoint. The scenery is magnificent - castle ruins on a rugged cliff top above sparkling blue azure Cornish waters and pebbled coves. This is the place where Arthur's castle was supposedly based. There is a little walk down to the site from the road and there are some steep steps to climb and a little bridge once you get there, so it's not for the faint hearted, but it's worth the walk. It feels wild and raw and English Heritage, which runs the site, has left it open for people to wander, run and play and absorb the atmosphere of this mystical ruin. Children will especially love the feel of the place and the wild abandonment and the pebbled beach at the bottom of the cliff is perfect for a quick paddle. I'd also make the most of the small town of Tintangel, where there is a Cornish pasty shop making the pies fresh and hot to eat. The castle is open every day through the summer, but during winter season from November, it is limited to weekends, so it is best to plan ahead through the English Heritage website. 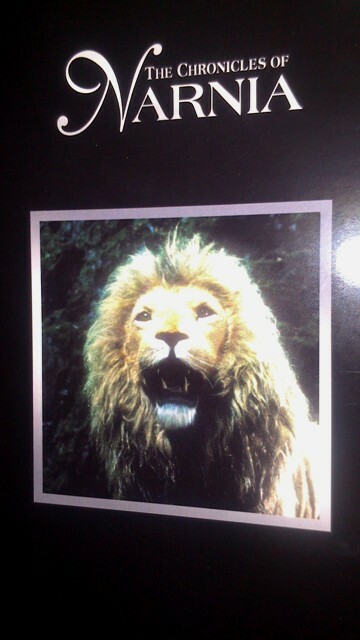 There's a little known book that has become something of a cult classic. 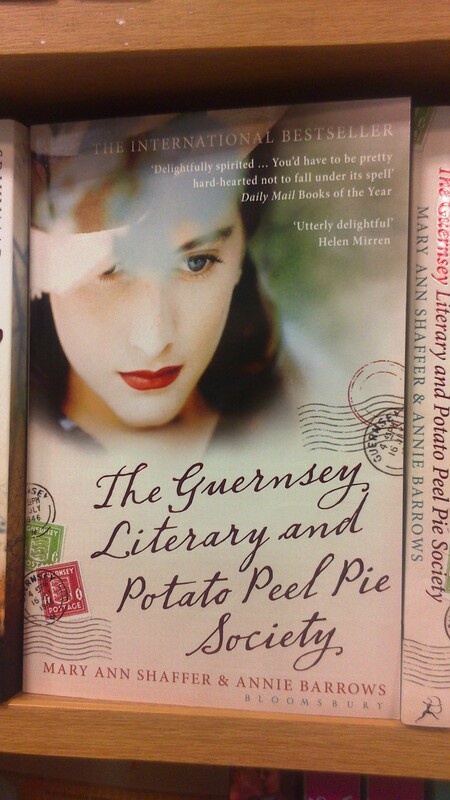 The Guernsey Literary And Potato Peel Pie Society is a charming story on the face of it with an emotional, tough core based on real life. Set in Guernsey during the Second World War it follows a female newspaper columnist who gets caught there when the Germans invade. Guernsey, a beautiful Channel Island of trees, cows, beaches and small lanes, was the closest that the Nazis came to invading Britain. The residents endured five years of hardship until British forces claimed her back when the Germans surrendered in 1945. Remnants of this history remain in the enlightening German Occupation Museum, which has a wide array of newspapers, letters, Nazi posters to the civilian population and much much more. It's worth checking out the La Valette Underground Military Museum at La Valette, St Peter's Port as it's an award-winning venue in very special surroundings. The German Army built the tunnel to be a submarine fuelling store but it was not completed before the end of the war. It's not just the history that makes this trip so worthwhile, but also the scenery described so vividly in the novel. The picturesque single lanes overflowing with flowers and busy bees; the coastal walks along cliff tops with woodland, sand and historic fortresses. It's an enchanting island to discover. Public transport is particularly good on Guernsey and you can make any journey on the bus for £1, whether it is a few stops, or a trip around the whole island. Thomas Hardy had a particularly affinity with the Wessex countryside scenery around him - now better known as Hampshire and Wiltshire. Much of his work spends a fair amount of time going into the minutest detail of the landscape before we even get to meet our often tragic leading ladies and gentlemen. 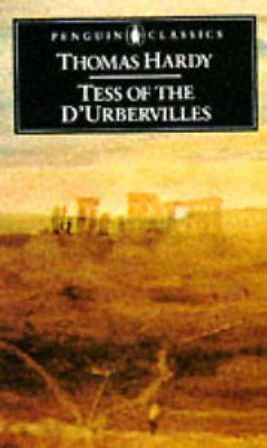 Tess of the D'Urbervilles is no different, whether it be the woodland where our heroine falls foul to the dastardly Alec D'Urberville or Stonehenge, where she escapes to with the love of her life, Angel. It's a relaxing region to tour around and there are some delightful historic towns, like Salisbury with its cobbled streets, farmers' market and stunning cathedral. 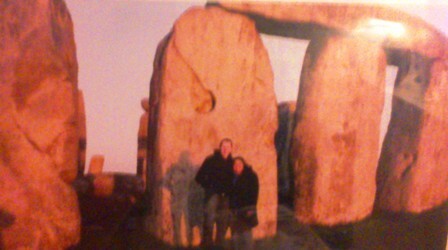 Then there is the magnificent and unmissable ancient site of Stonehenge. If you contact English Heritage in advance, there are opportunities for stone circle access, often at sunrise or sunset, when you can get close to the stones in a small group. The application form is on the Stonehenge website, and well worth the experience, if only to have the opportunity to see such a unique place up close and without the crowds around you. Tickets cost in advance from the website. 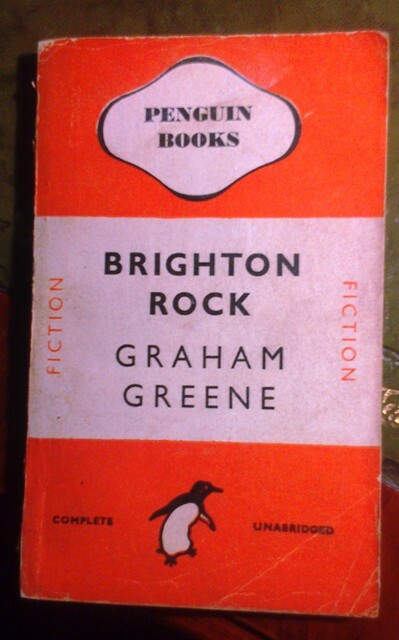 The pre-war grim gangster world of Pinkie in the iconic novel Brighton Rock in no way represents the Brighton of today, but there are still elements of the fun, seaside town that resonate. The pebbled beach, pier and tourist cafes and flats where murderous Pinkie becomes tangled with naive, lovestruck Rose, still stand - well one pier does, the other sadly burnt down. Daytrippers are still just as common to the south east coastal town and there are some lovely areas to meander aimlessly. The Lanes is an area full of independent shops, great for clothes, quirky house decorations and jewellery. Along the seafront, there are bars and nightclubs hidden underneath the pavement to create a cave-like atmosphere for night owls who like their dance music. After all, this is the home town of Fat Boy Slim. Most of all, the main attraction with Brighton is the laissez faire, carefree attitude. It's got something for everyone. There's sophisticated restaurants (especially a plethera of vegetarian eateries), there's the grand Victorian Brighton Pavillion for history buffs and it's an all-night party city for those who want to have fun. Celebrated author CS Lewis was brought up in Belfast, near the dramatic coastline of the Giant's Causeway and it is those childhood years that are believed to have inspired his children's story of battling forces and dramatic worlds in Narnia. The author was born in 1898 and it wasn't until the age of 13 that he moved away permanently to study in Malvern, England. Northern Ireland has boosted its tourism in recent years and there are some naturally beautiful sights, particularly the Giant's Causeway that make it a must-see region. At the top point of County Antrim, you will find a world of discovery to excite the imagination. A playground of natural beauty and like being transported to an ancient world where the North Atlantic Ocean waves roar below mammoth grey cliffs. On the shoreline are ancient stone pieces that look like hexagonal pillars on the shoreline, spread out like stepping stones to jump across. It's no wonder that fantasy adventure TV show Game of Thrones is also using this area to film. There is also Dunluce Castle at Bushmills on the Irish Sea that is believed to have inspired the writer when he came to create the fictional castle of Cair Paravel in Narnia. If you want to discover the author's early life in more depth, the Belfast Welcome Centre offers a CS Lewis tour that takes you to the author's beginnings in County Antrim. Great list. knew about 46, and 8, but the others are new to me. Thanks, Bryony. Hope it's inspired you to go visit them. This is such a good guide. Thanks! Gear article, definitely something for my to do list!